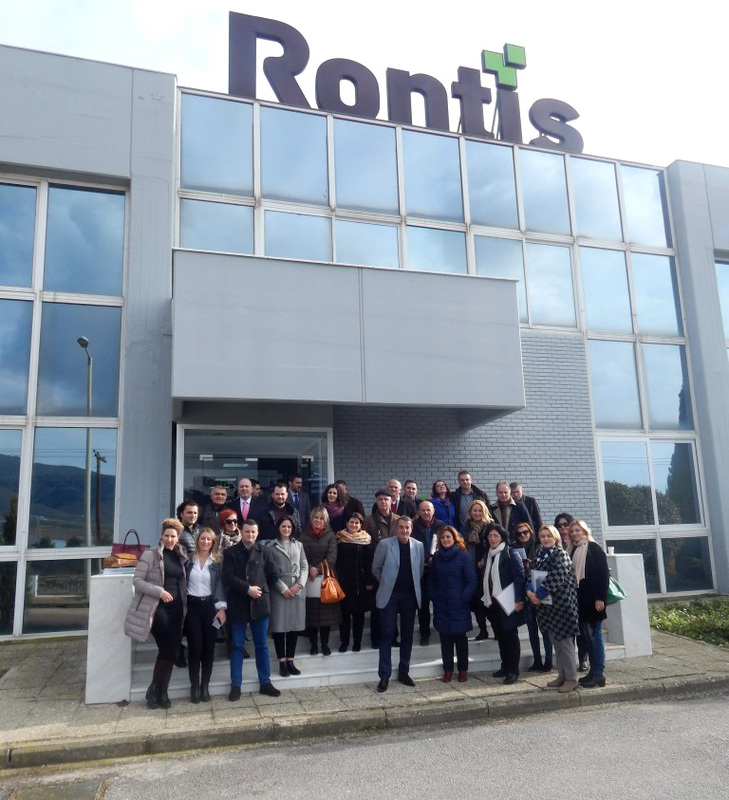 Within the framework of Rontis and Florfarma collaboration and the vision of the mutual business advancement, the “1st Rontis Academy Meeting of Infant Nutrition and Consumer Healthcare” took place on January 20th, 2017 in the Rontis manufacturing facility, in Larissa, Greece. Aim of the specific event was the consolidation of the new partnership, the strengthening and the establishment of rontamil® in the Kosovar market, and novalou® and novatopia® brands in Albanian and Kosovar markets as well. During the event we had the unique opportunity to meet with more than 30 prominent Health Care Professionals and Key Opinion Leaders (pediatricians and dermatologists) invited by FlorFarma, whose contribution is of great importance in the increase of brand awareness and market share of rontamil®, novalou® and novatopia® in the wider Balcan region. A plant tour was performed, where doctors showed great interest in the production capabilities of Rontis plant and posed several questions regarding the manufacturing process of Infant Nutrition, pharmaceuticals and medical devices products. Following the plant tour, presentations were performed focusing on the corporate structure and milestones of Rontis Corporation, followed by an overview of both Infant Nutrition and Consumer Healthcare divisions. The audience seemed very content with all presentations, showing this by posing interesting questions especially regarding Infant formulas and dermaceutical products. It is guaranteed that events like the specific one, will further increase our brand awareness and consumers’ loyalty. Our target is to regularly perform similar actions, in order for both parties to consolidate the new partnership, and reinforce our position in the Albanian and Kosovar markets!